A Home Inspection is the best way to learn about the condition of your home or the one you’re interested in. The property inspector will examine the home and its systems, and let you know what's good, what might need some work, and what to expect. Being as informed as you can will allow you to make the best decision you can... and help you sleep better. Plan your Seller's Inspection well ahead so you can be ready and avoid surprises. You will be in a stronger position by being ready. 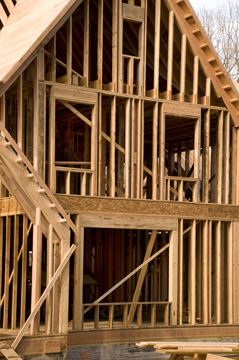 Building a new home can be exciting and challenging all at the same time. The prospect of getting the exact home just the way you want it is a dream come true. While you will most likely have a warranty, collecting on it may be challenging. Most people who have been through the process wish they had known about the defects and issues before they closed and took delivery—a New Construction Inspection would have helped. Building your dream home can be a dream come true... and a New Construction Inspection can help give you the peace of mind you dreamed of. Just because we live in our homes and everything seems fine doesn't mean there may not be issues. An Owner's Inspection is a small investment that can result in huge savings. While there is an endless list of issues that can be discovered during a home inspection, there are some that are seen more often than others. Here is a list of some of the most common issues that are found during a home inspection.